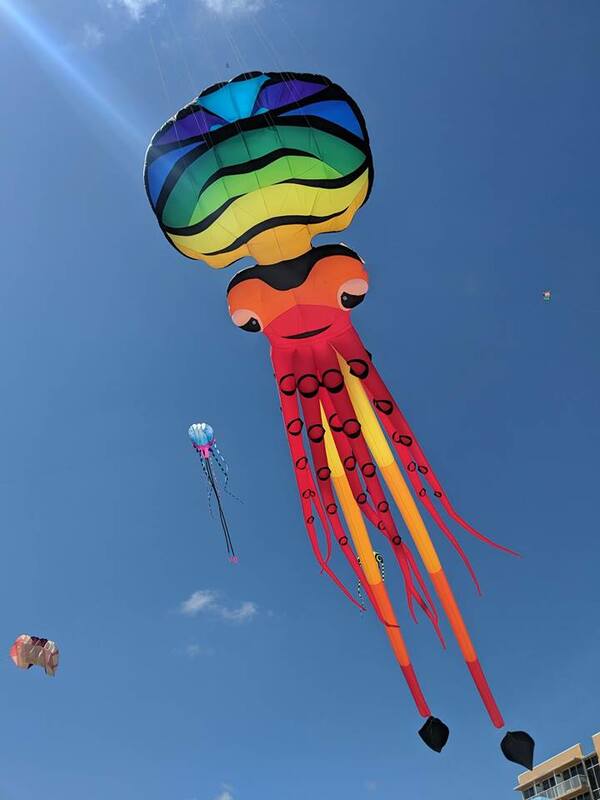 We are at the Haulover Park Kite Field, on the Intracoastal near the Bill Bird Marina. We are open daily from 10am-sunset, weather permitting. We have free parking, kites, drinks, ice creams, parties and festivals! Every Tuesday evening (weather permitting) from 5 to 9:30pm. It's Food Truck Party Night at Haulover Park. Fly a kite, blow some bubbles and try some tasty treats from South Florida's best gourmet food trucks. Great music, games for the whole family, bounce houses and, sometimes, even a children's train ride with fun tunes. It's a great way to enjoy nature and unwind in the middle of the week. Bring your family and friends, maybe a blanket or lawn chairs so you can really relax, and enjoy the fresh South Florida Breezes.